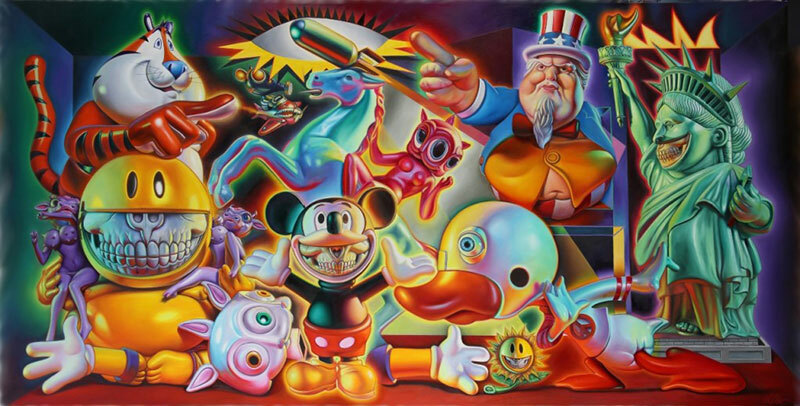 A series of paintings by contemporary Pop and street artist Ron English that reinterprets Pablo Picasso's 1937 painting Guernica, one of the most famous anti-war paintings in history. Having worked on the exhibit currently on view at Allouche Gallery for two years, English uses the modern war template to relay powerful messages about the endless cycles of creation and destruction. 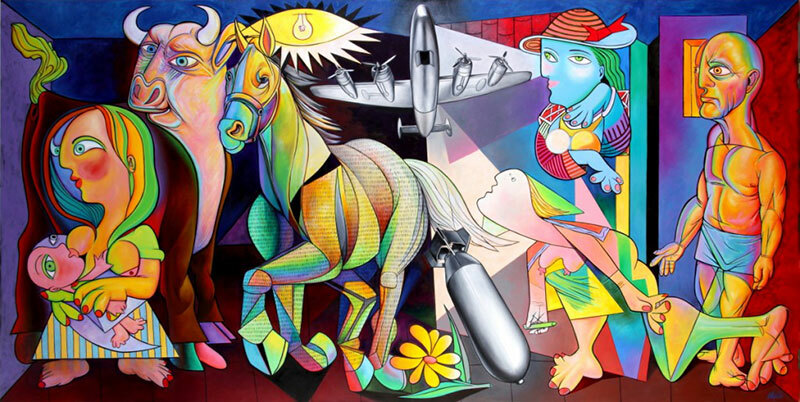 Guernica for me is a modern template, just as the Madonna and Child is an ancient template. There are many templates in art, shells upon which the artist forges a vision, contributing to a shared cultural experience. Art existed long before the concept of the New—the idea of singular vision and intellectual property. 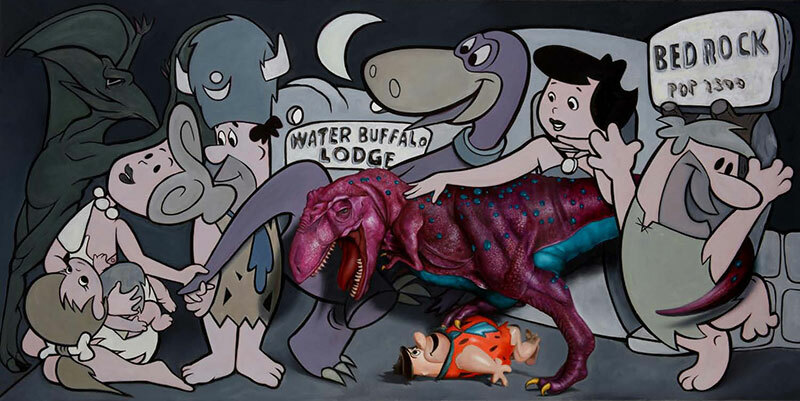 So I approach the Guernica template cognizant and reverent of its meaning and cultural significance. It is a visual shorthand for the overwhelming and gratuitous horror of modern war. 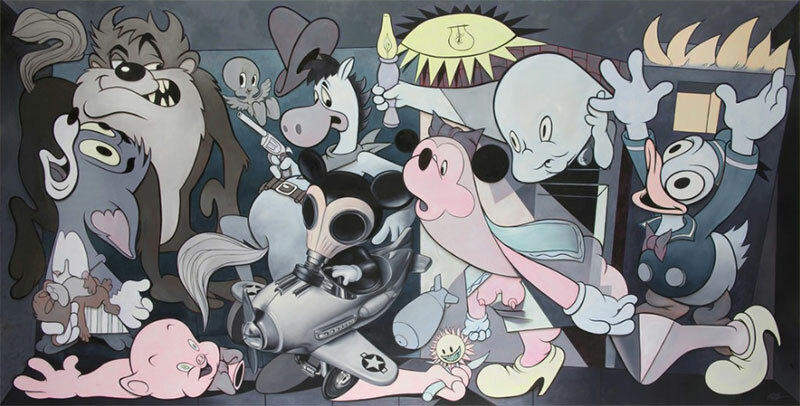 But I argue that the cultural takeaway of Guernica is actually the opposite. It transforms incomprehensible tragedy into a cartoon narrative, something we can more easily absorb. This is part of the human process, to distance ourselves from the immediacy of undiluted, overwhelming emotions by overlaying a narrative that simplifies, and in effect, takes us down from three to two dimensions. 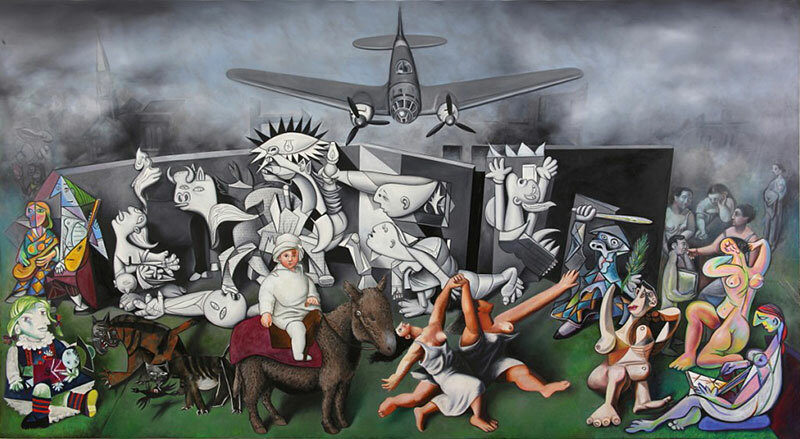 And this is the underlying concept that I grapple with in all my many versions of Guernica. On view at Allouche Gallery through October 19. 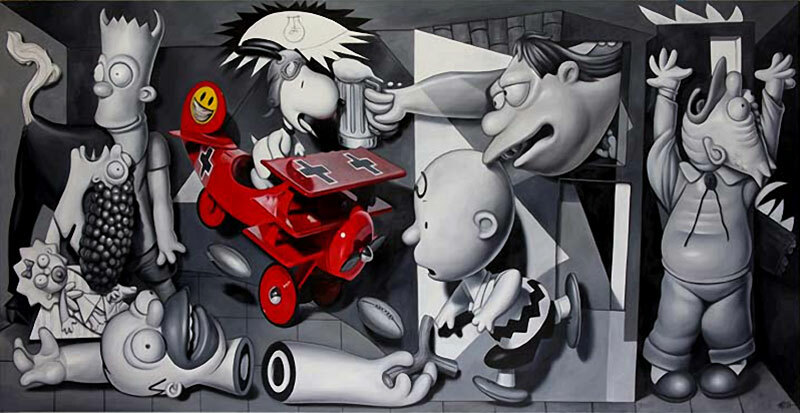 A series of paintings by contemporary Pop and street artist Ron English that reinterprets Pablo Picasso's 1937 painting Guernica, one of the most famous anti-war paintings in history.